"Cognitive - Discussion" programs are an ideal way to provide an opportunity for your dementia and Alzheimer's residents to reminisce and engage in social interaction with others. They can promote communication, validate life stories and offer an opportunity to form new friendships. Ideal in the late morning for groups of 4 to 6 active participants, these programs can be used to get participants talking amongst themselves, asking and answering questions and telling life stories. Use these along with trivia, this day in history and other programs to complete the schedule. 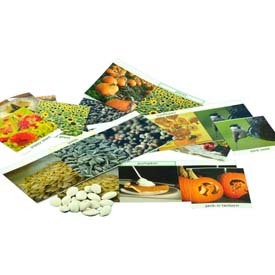 Match the Photos uses vibrantly colored cards and templates to provide a fun way for a person with Alzheimer's or dementia to improve cognitive abilities, help with dexterity and enjoy conversation and reminiscing. 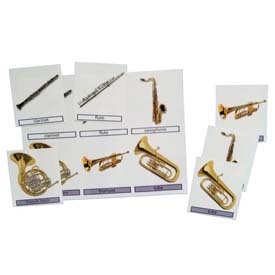 The instructions describe how to use the cards and templates in a variety of progressively more difficult activities, as well as simply using the cards as a starting point for conversation and engagement. These three different sets offer a variety of topics that can be selected to match the interests of the participants. 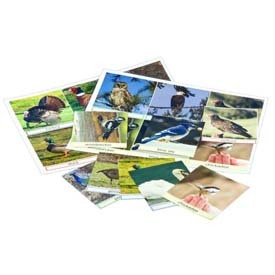 "Bird Groups" includes pictures of birds of prey, waterfowl, game and forest birds. Pick out your favorite or match them against the templates. "Pumpkin, Sunflower and Poppy" is ideal for the gardeners, bakers and farmers in the group with fun pictures of the plants, seeds and things that can be made from them. Add in some real seeds or plants to add a sensory aspect to the program. "Musical Instruments" will appeal to the musicians in the crowd, as well as those who simply enjoy music. A discussion guide with fun facts about the instruments and famous musicians is included. Reading groups are an ideal way to encourage discussion, reminiscing and socialization among a small group of dementia patients. 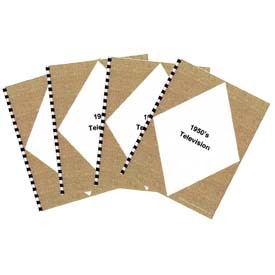 This package of four identical readers plus a laminated discussion guide provides everything you need to have a highly successful and popular activity. The idea of a reading group is not only to read the story, but even more importantly to encourage discussion and reminiscing. In fact, often the program comes to a satisfying end without having finished the book. The included laminated discussion guide offers questions and extra information that can be used to prompt conversation and interaction.